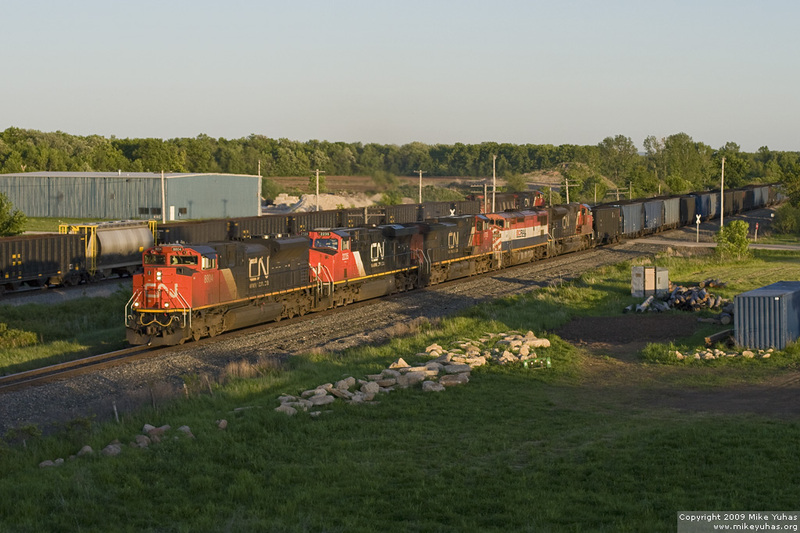 CN train 347 heads north a few miles out of Shops Yard. Three of the five units are online - the last two (including the BCOL) are not, to conserve fuel. On the former C&NW track in the background, a 588 train heads south toward Shops.